On our way out of Colorado we headed north on US 191 into Wyoming to meet our good friends Mark and Lyn. Fellow full-timers, they were traveling from Tacoma WA to Colorado while we were traveling from Durango CO to Montana and eventually Washington. 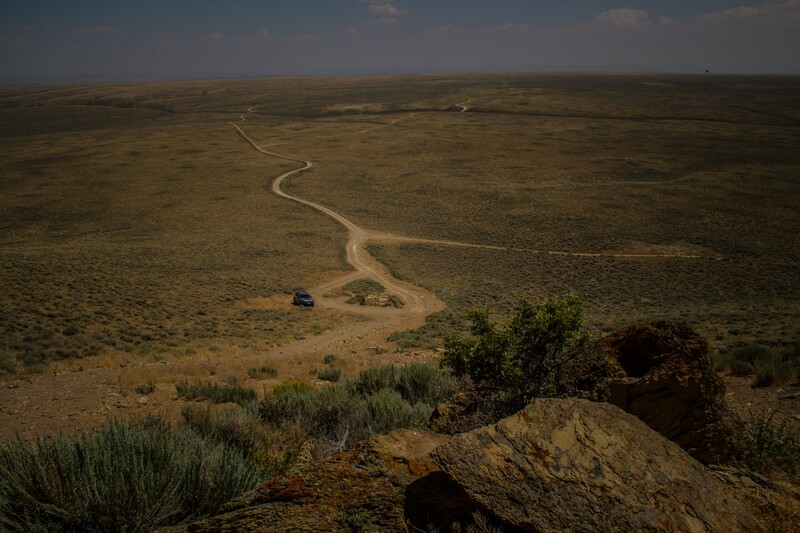 Wyoming was a natural meeting point. We met in Pinedale, just west of the Wind River Mountains, south of Jackson Hole. Our first evening in Pinedale we all saw a giant moose cow with 2 calves in the local city park. 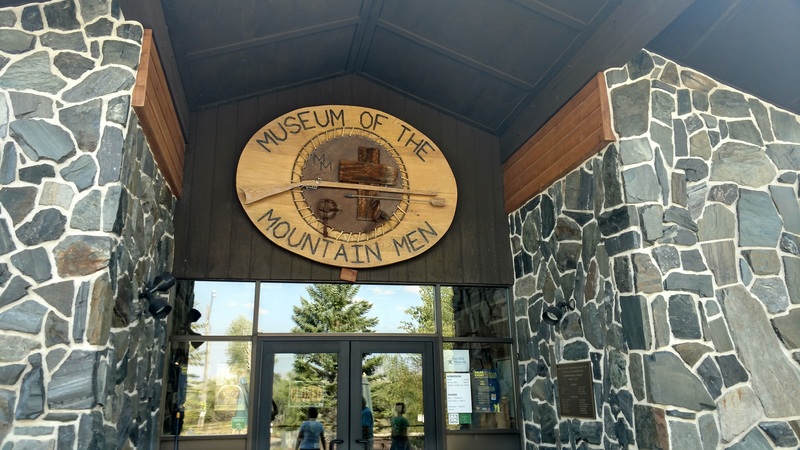 Pinedale is home of the Museum of the Mountain Man. It was the mountain men of this area who trapped the beaver until fashions changed (just before they were completely extinct). These same men then led pioneers in the westward expansion of the United States – they needed work and knew the way. 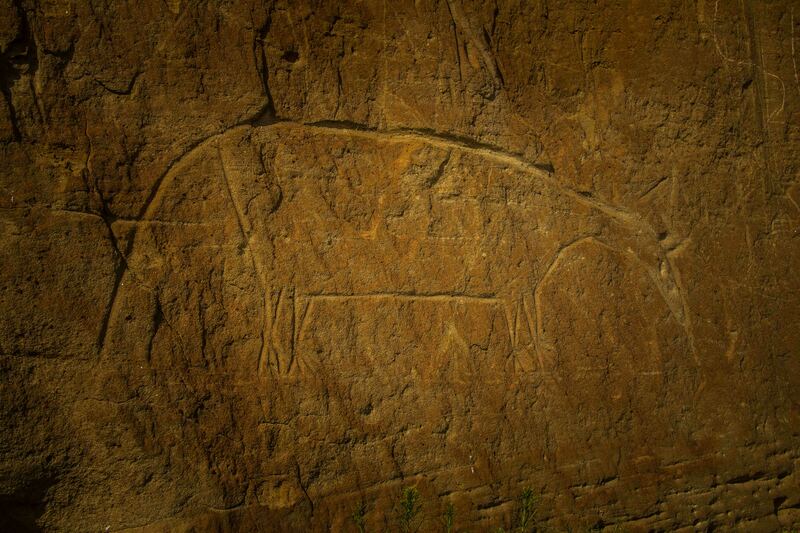 The great book and movie “The Revenant” is based on this time and place. Pinedale is also a gateway into the Wind River Mountains. Unfortunately smoke from many fires obscured some of the best views but it was still beautiful. The area has many natural lakes including Fremont Lake which is 11 miles long and over 600 feet deep. 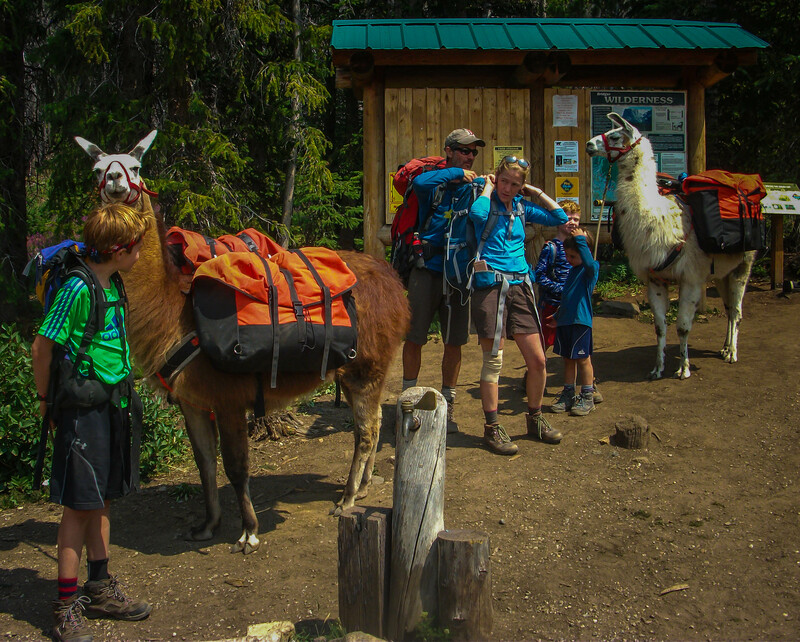 While there we hiked into the mountains and met families hiking with llama pack animals and many groups of mostly women hiking into the wild on multi day trips. 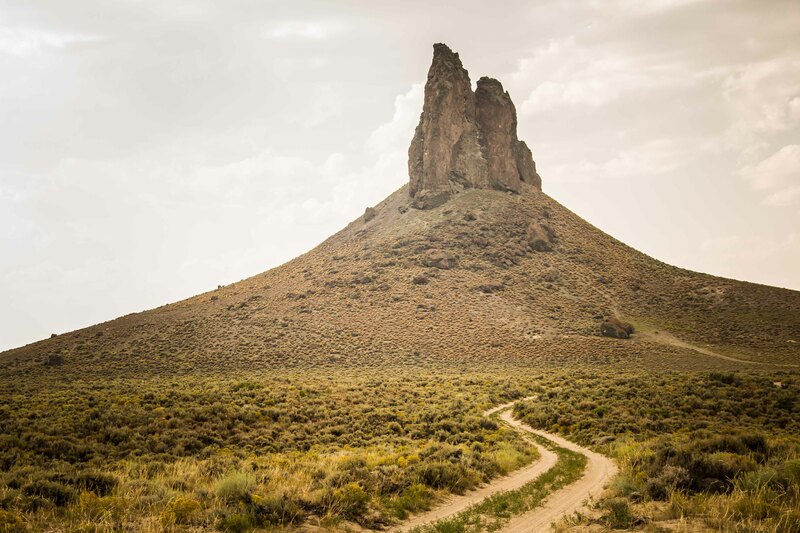 Pinedale is a base from which hikers ascend Gannet Peak, the highest point in Wyoming. 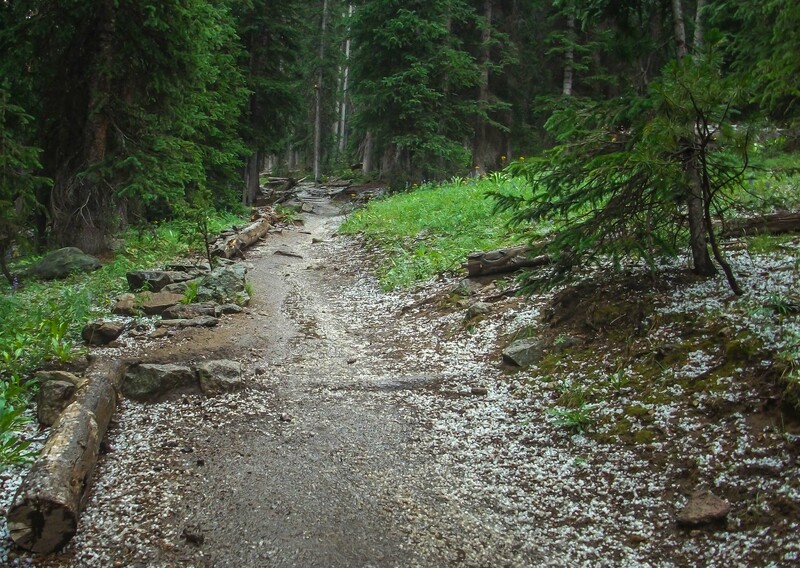 On our hike we had to wait out a storm of pea-size hail. 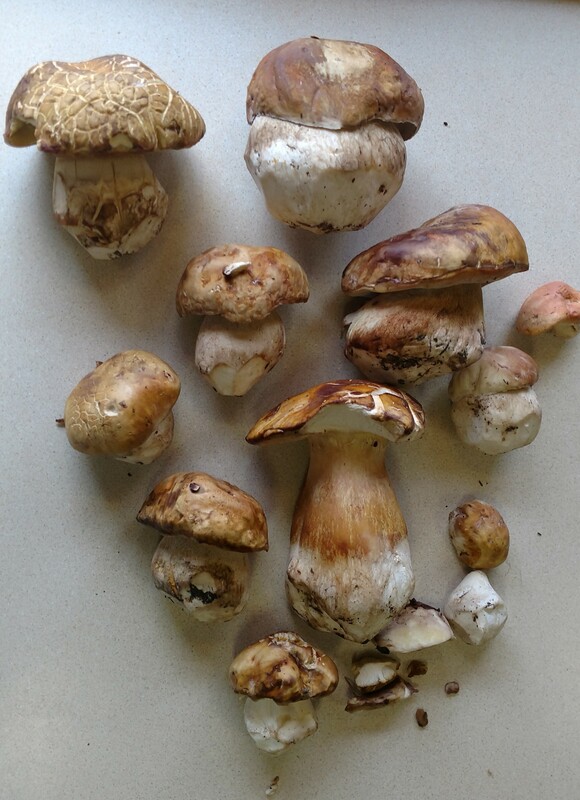 Looking around we found many king bolete mushrooms. We collected several pounds of these delicious gems. 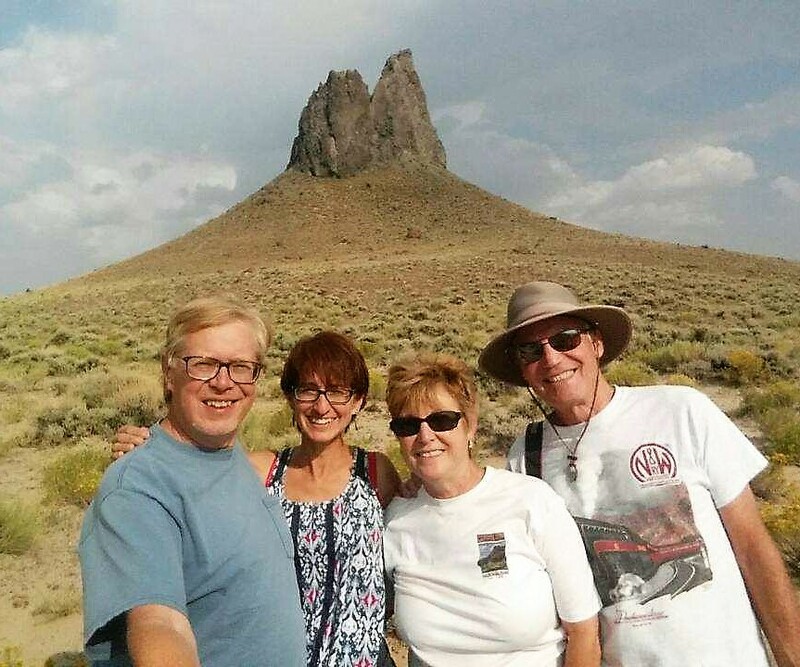 Mark and Lyn invited us to join them in exploring nearby Sweetwater County in their 4X4 Trail Rated Jeep. 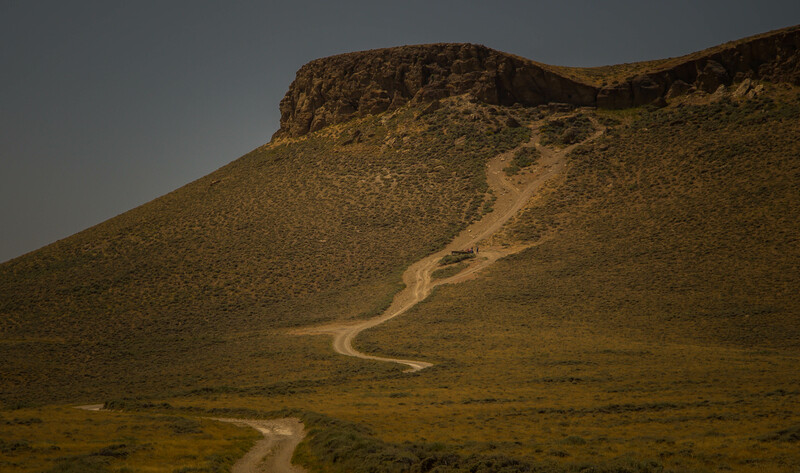 Sweetwater County is in far Southwestern Wyoming and involves miles and miles of gravel roads and some serious rutted 4WD roads. This area is famous for wild horses and after going around Pilot Butte and back on the loop road again we saw about 8 big wild horses up close. Beautiful animals, healthy, well nourished. 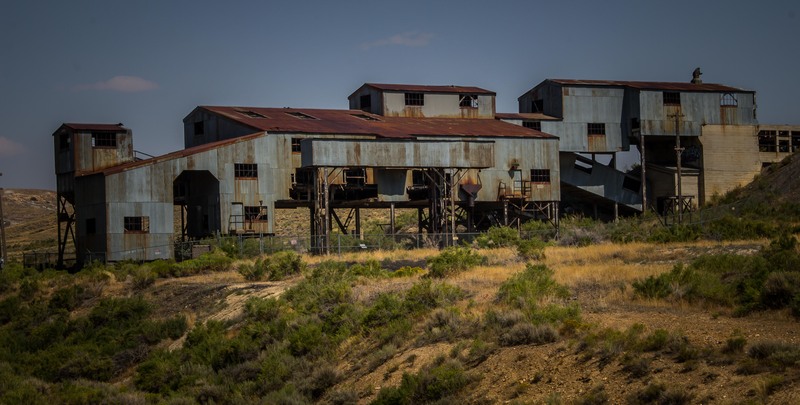 We then visited the Reliance Tipple – a coal delivery structure of the Union Pacific Coal Company supplying the railroad with coal along its original transcontinental route through Rock Springs. 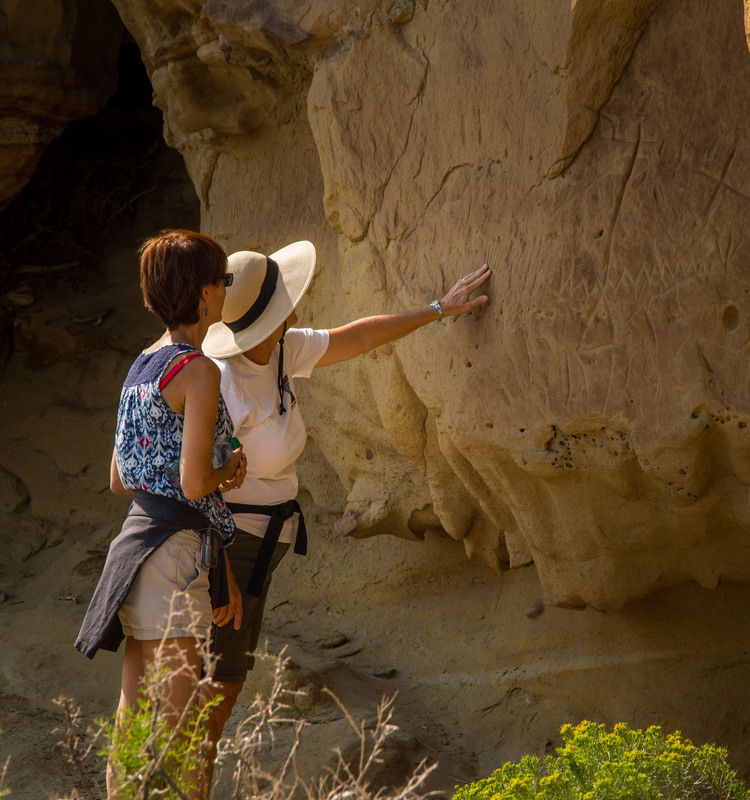 Working our way back north again we saw Native American Petroglyphs and the Boar’s Tusk geologic site. Mark was a master driver getting us into these places we couldn’t have gone in our CRV. 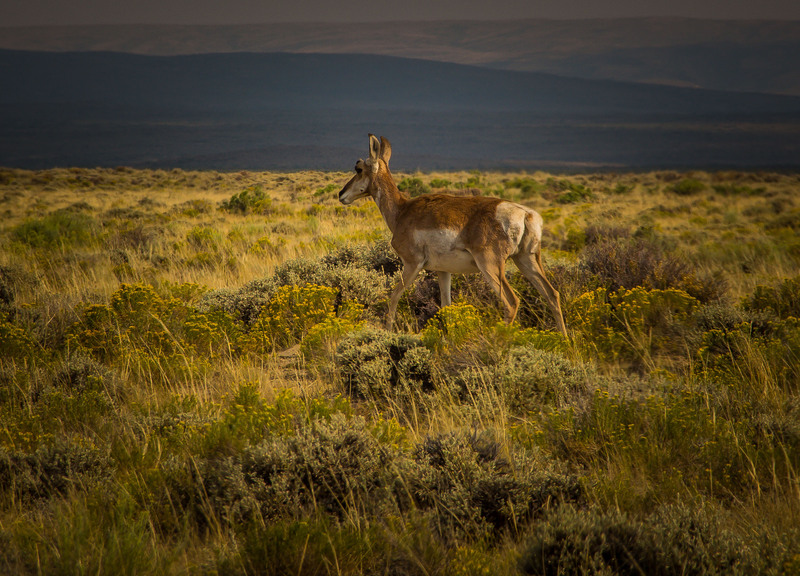 Along the way we saw lots of pronghorn antelope and some sage grouse. 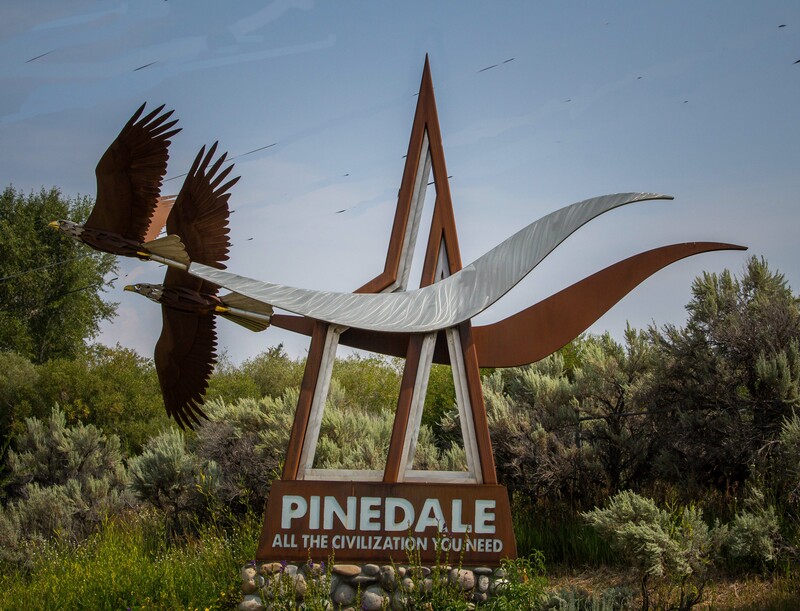 We had never been to Pinedale before but we discovered so much to see and do we can certainly see a return. 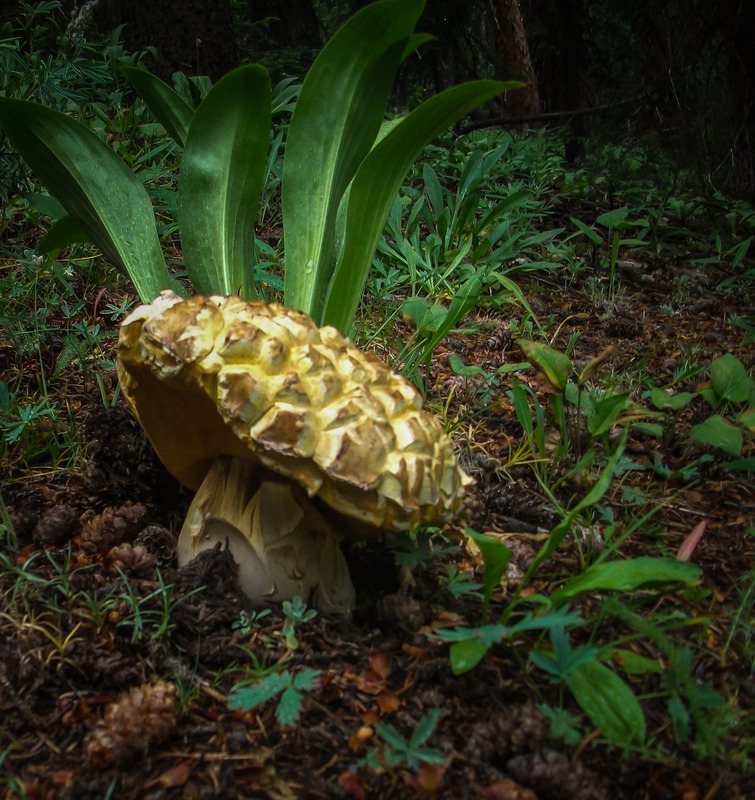 This entry was posted in RV Travel, Wyoming and tagged Boar's Tusk, Fremont Lake, Gannet Peak, King Bolete Mushrooms, Petroglyphs, Pinedale WY, Pronghorn, Reliance Tipple, Rock Springs WY, Sage Grouse, Union Pacific RR, Wild horses, Wind River Mountains. Bookmark the permalink.